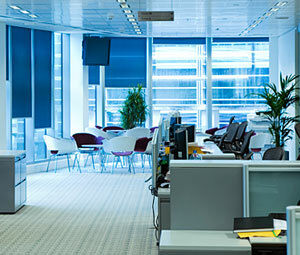 4A's Cleaning is proud to be considered as a partner in your construction project. Our experienced and highly trained construction cleaning force has the expertise and skills to handle every requirement and concern dictated by your project. You can rest assured that we have successfully participated in a variety of construction projects throughout the DFW Metroplex, Houston and Oklahoma. We provide all labor, material, tools, equipment, insurance, knowledge and the services necessary to perform our job promptly and efficiently. Performing rough, finals, touch-up, exterior window cleaning, concrete sealing, VCT coating, terrazo coating, pressure washing along with all the requirements of your construction scope. Being a janitorial company that performs services on a daily basis gives us an advantage in experience allowing us to deliver an outstanding service to our customers. Please feel free to check with any of our satisfied customers who will testify they have experienced the AWESOME cleaning service that 4A's delivers!